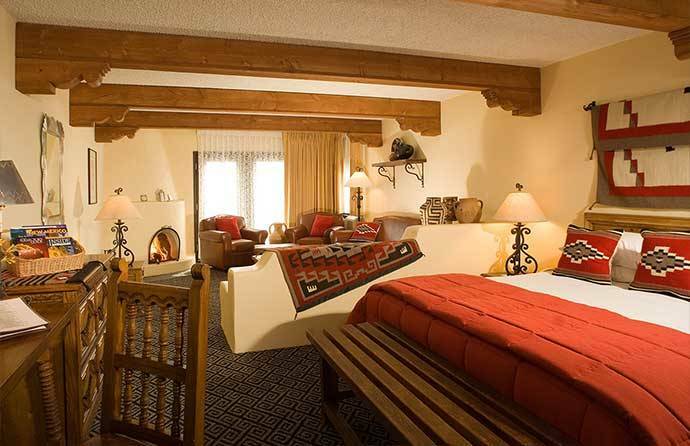 Our Authentic Santa Fe Hotel Rooms are Warm and Welcoming. 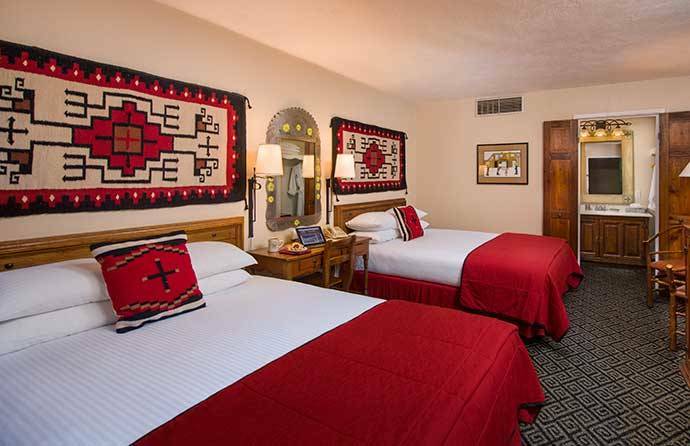 All decorated with a vibrant color scheme that includes Native American rugs and southwestern-patterned carpeting. 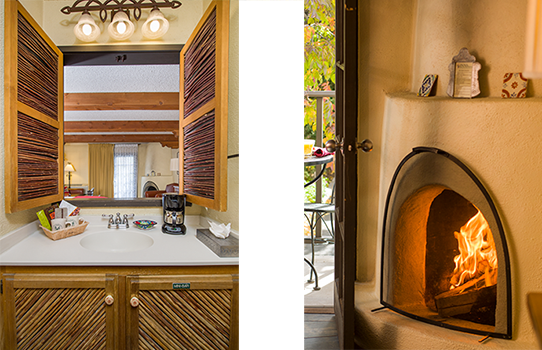 No other hotels in Santa Fe provide our exclusive complimentary offerings that include Tea & Sherry Social Hour daily at 4pm in the lobby, the Mountain Sunrise hot breakfast buffet, wi-fi, outdoor year round heated swimming pool and FREE on-site parking. 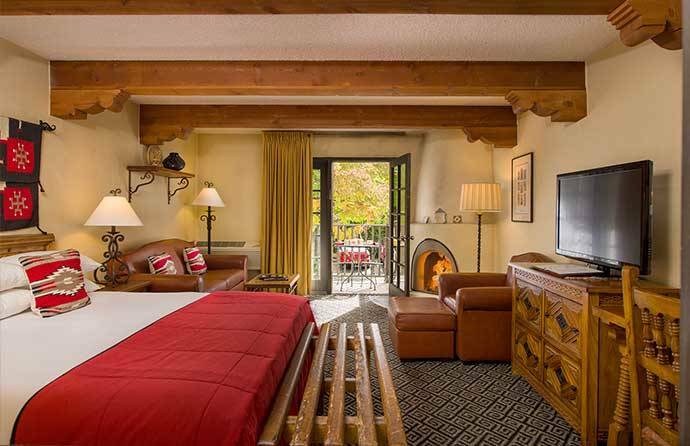 You’ll find hand carved furnishings, Spanish artwork and local tinwork in our downtown Santa Fe hotel, in addition to showers with Talavera tile. 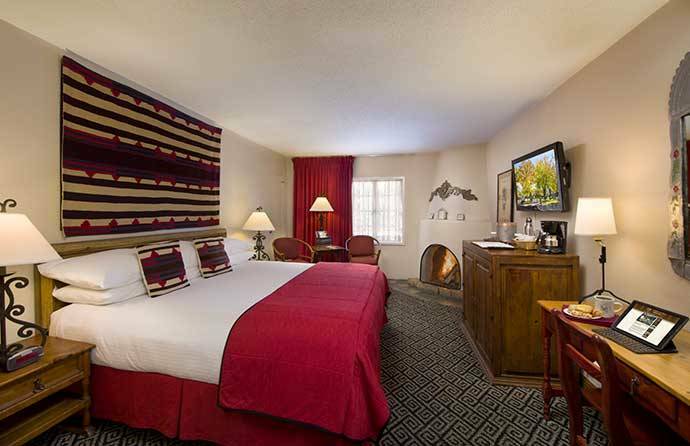 For your complete comfort, our beds (two queen or one king) feature triple sheeting, feather pillows and down comforters.